Essential Qualification : Passed Intermediate Exam in PCM Discipline with minimum 70% Aggregate Marks from any Recognized Board. 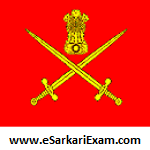 Eligible Candidates can Submit Application at the Official Website of Indian Army latest by 27th November 2018. Open TES 10+2 41 Course PDF Link at Home Page.